Adventure in real African Bushveld! Chubeka Trails in Swaziland (now Eswatini) offers you the privilege of traversing land dedicated to the restoration of Swaziland’s flora and fauna. Marvel at the modern-day miracle of the reintroduction of 22 species that once roamed this Royal Kingdom. What’s more, each activity is a thrill in its own right, with emphasis on a sense of place, a keen understanding of adventure and an aspiration for the unique, all conducted within the ambit of respect for wildlife. So what are the best means of exploring Swaziland’s Wildlife? We offer top-class Horse Trails on Mlilwane Wildlife Sanctuary, ranging from hourly rides to multiday trails and everything inbetween. Trail-bred horses with fine saddlery cater for novice to advanced riders. Horse-riding is the ultimate in undisturbed up-close game viewing. Mountain Biking on Mlilwane and Hlane Royal National Park is a riveting experience. Flowing single trails and African bushveld provide a heady mix of adventure and wildlife, in fact Swaziland’s most famous race, the Imvelo, occurs on Mlilwane. Indeed, for experienced riders, overnight trails at Mlilwane are a definite must! Rent one of our GT 2.0’s with shocks and disc brakes if you don’t have your own. The Rhino Drive is a new experience that replaces White Rhino Tracking at Hlane Royal National Park. It has been developed with the sole intention of seeing as many white rhino as possible. The bonus of this activity is that, safety permitting, the guide will allow you to disembark from the vehicle and quietly walk up to where the rhinos are while remaining in the vicinity of the vehicle. 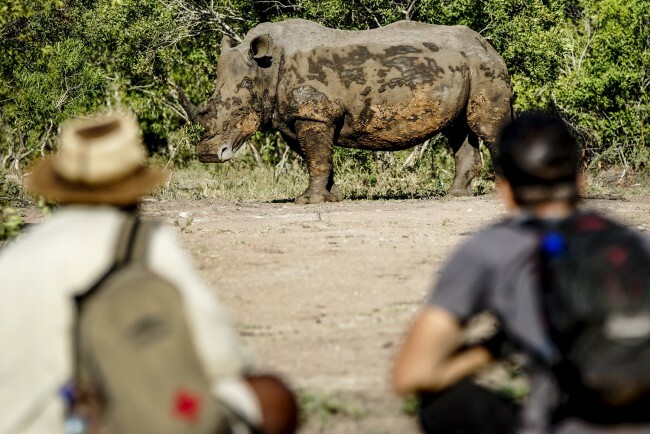 This encounter will give an intimate rhino experience and guests will gain valuable insights into rhino behaviour. Sustainable ecotourism allows visitors to enjoy the bio-diversity of Swaziland first hand, while providing the economic base for conserving the Kingdom’s rich natural heritage. Now members of the Wild Card.